I feel like I have lots to say today! Not that I'm complaining, sometimes I have to scratch my head for something of interest, but not today. 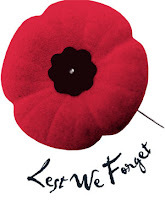 First and foremost today is, of course, Remembrance Day. Without dwelling on the subject too much, or becoming morbid, I would like to express my sincere sympathy to the families who have suffered the loss of a family member in all wars, past and present, and to thank our servicemen, whom do their job without the praise and appreciation they deserve. In the two minute silence observed this morning ' we remember those who fought for our freedom during the two World Wars. But we also mourn and honour those who have lost their lives in more recent conflicts. Today, with troops on duty in Afghanistan and other trouble spots around the world, Remembrance, and this two minute tribute, are as important as ever'. 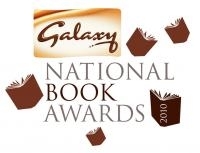 On to literary news, last night was the annual Galaxy Book Awards, celebrating the very best of British publishing. Terry Pratchett and Martin Amis collected awards for outstanding achievement, Stephen Fry won the Biography category, despite competition from Tony Blair and Lord Alan Sugar. Andrew Marr received the More4 Non-Fiction Book of the Year award for 'The Making of Modern Britain', One Day by David Nicholls was named Popular Fiction Book of the Year and Hilary Mantel was honoured with the Waterstones Author of the Year award. The host of other awards can viewed on the Galaxy National Book Awards website, where you can also vote for the Galaxy book of the year. The ceremony will be televised in the UK on Saturday. 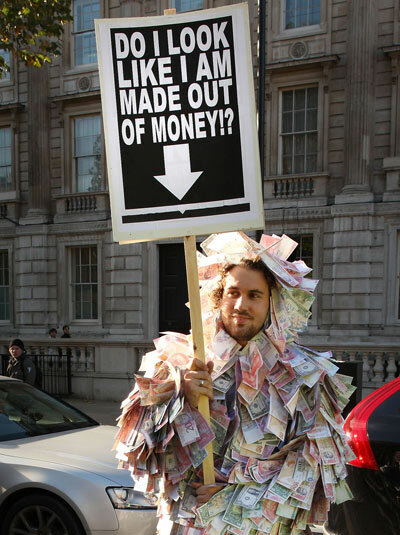 The British amongst you have no doubt also been following the news of the student protests in London yesterday. Though I absolutely do not condone violence of any form, I was delighted to see such a huge number of students out protesting against the proposed university fee increased. All too often the British have a habit of sipping tea and complaining yet never actually doing anything about it. I hope that the government takes note of the public uproar. University should be available to all that have the ability and want to study, not an elite privileged minority. Finally, I just thought I'd let you know, I'm thoroughly enjoying reading Suite Francaise and I can't wait to review it.